Is the World on the Brink of Another Great Recession? We could be facing the third leg of a crisis that began in 2008. If ever there was a time for US leadership, it is now. One of the greatest challenges President Obama faces in his last months in office is how to deal with a global economy teetering on the edge of a yet another crisis. For weeks now, the financial markets have been signaling major trouble ahead. Turbulent equity markets throughout the world have plummeted. Yields on long-term bonds in the United States have fallen to near historic lows, auguring extended economic weakness ahead. And interest rates have turned negative in Japan and some European economies, underscoring that these economies may be losing the fight against deflation. Meanwhile, the large flow of money into China and emerging economies that drove global growth after the great financial crisis has reversed, exposing those economies to years of debt buildup. Indeed, one cannot rule out that the markets may be signaling something more serious than just a global economic slowdown. They could be foreshadowing the beginning of what might be called the third leg of the world economic crisis, one that would echo the US-centered housing bubble in 2008 (the first leg) and the eurozone crisis in 2010–11 (the second leg). This third leg would center on China and emerging markets. In the aftermath of the global crisis of 2008, with demand in the United States and Europe no longer available to power its export economy, China embarked on the largest expansion of credit in modern economic history. In the process, it built too many factories, too much housing, and too much infrastructure. The huge increase in debt worked to keep China’s economy growing and boosted emerging markets and commodity producers, but it created huge excesses and lots of bad debt in China and other economies dependent on China that now must be worked off. Not surprisingly, the Chinese economy is now on a bumpy descent as it tries to manage its overinvestment bubble and as it transitions to a more consumer-oriented economy. 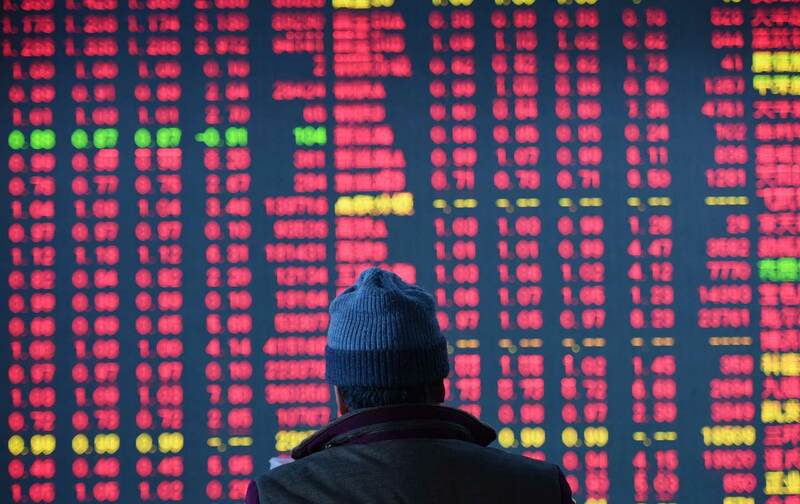 The fear of a Chinese hard landing has created tremors throughout the global economy. The price of commodities, from oil to copper and iron ore, has collapsed in the face of global oversupply and expected weaker demand from China. Brazil, Russia, and other commodity producers are in recession. Manufacturing economies worry about a new wave of deflation coming out of China, driving down the price of manufactured goods. And everyone worries that China will have no choice but to let the yuan fall further, thereby setting off a series of competitive devaluations in Asia and beyond and setting the stage for a new emerging-market debt crisis. For as currencies fall, emerging markets will not be able to service their dollar-denominated debt, triggering a new financial crisis that will extend to European banks and the shadow banking system of US asset managers and hedge funds. The US economy is in a better position than other economies to weather this third leg of the global crisis. But in today’s world, no economy is an island. It is unlikely that the United States can avoid a recession if Europe, Japan, and China are all pulled into one, and even more unlikely if there is a major credit crisis centered on emerging markets, energy, and Chinese debt, which would pull down many European banks and some US asset managers. Even as it is, US energy producers—solar and wind as well oil and gas—are being decimated by the wars of oversupply and weaker demand. And US manufacturing is contracting because of a strengthening dollar, which makes US exports more expensive. American consumers will of course benefit from lower energy costs and cheaper goods, but it will be difficult for them to hold up the global economy as they have done in the past, given their sizable debt burden and weak wage growth over the past six years. The world’s central banks have not been able to reverse the drift toward deflation and depression. The prospect of a global economic slowdown is especially troubling because the world’s central banks, despite extraordinary measures, have not been able to reverse the drift toward deflation and depression. Now they are essentially out of ammunition and are resorting to experimenting with negative interest rates. Worse, fiscal policy in the form of government spending is, for political reasons, off the table in nearly all major economies, including in the United States. If ever there were a time for US global leadership, it is now. Even if the United States avoids being pulled into recession, one shudders to think about the geopolitical implications of a global slowdown. Even as it is now, divisions and xenophobic populist movements are growing in Europe in response to the flood of refugees and a half-decade of austerity, to take one example. It is of course possible that China will be able to stabilize its descent, that Europe and Japan will be able to eke out some economic growth in the year ahead, that emerging economies will be able to manage their debts, and that the US economy will enjoy something of a deflationary boom as a result of a strong job market and falling prices for energy and consumer goods. But this would be far from the global prosperity that is needed to lift people out of poverty and grow a bigger global middle class. There are a number of sensible ideas for avoiding a major world economic crisis and for supporting more robust global growth: a massive US infrastructure investment program; debt restructuring and relief for households and students in the United States as well as for sovereign debtors in Europe and other regions; a bigger IMF and World Bank insurance fund for emerging-market debt; a growth program in Europe led by the European Investment Bank; expanded funding for refugee resettlement; new international reconstruction programs in Ukraine, North Africa, the Middle East, and Central Asia; and, if necessary, direct central bank financing of these and other spending programs. The White House could also pressure Berlin and other European capitals more on reversing austerity and less on maintaining sanctions on Russia. All these policy measures would support global demand and create jobs while easing the pressures of debt deflation. Visit Cuba with The Nation! But nearly all of these ideas, except some pale versions like increased spending on infrastructure, are outside the boundaries of current American political discourse. To say that the US political and media establishment is unready for a global economic slowdown, let alone a new financial crisis, would be an understatement. Nearly all the Republican candidates have committed themselves to balanced budgets and reduced spending and, unless the politics change quickly, a Republican Congress would most surely block any recovery program a Democratic president would propose as well as US participation in any international recovery effort. Most of the candidates are full of crackpot ideas on how to stand up to Putin and destroy ISIS, but none have ventured to say a word about how they would save the world economy from another crisis. As we have argued in other contexts, Senator Sanders is right: we need a political revolution. But looking out at the troubled global economy, we must also see that the revolution must do more than just fix a rigged economy and a rigged political system. It must also seek to transform our international relations to give much greater priority to widely shared global economic prosperity. Sherle R. SchwenningerSherle R. Schwenninger is director of the World Economic Roundtable at the New America Foundation.